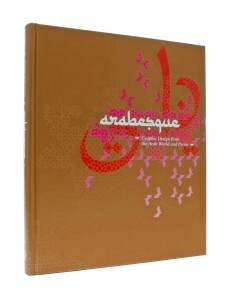 Ruh’s work was featured in the popular debut edition of Arabesque published by Gestalten, the book can be purchased here (Sold out). Arabesque investigates the current creative potential of the Arab World and Persia. The book collects examples of recent innovative and groundbreaking design work that is inspired by the richness of the region’s visual culture. In addition to a wide range of Arabic fonts and typefaces, it presents graphic design, modern calligraphy, logos and illustration by artists from Egypt, Iran, Saudi Arabia, the United Arab Emirates and Lebanon. Supplemented by texts that describe the environments in which the designers and artists work, Arabesque also includes a CD-ROM with the Arabic inspired Latin typeface Talib created by Ben Wittner and Sascha Thoma.